Have you ever joined with a circle of women where you take the time and space to connect with your inner knowing, in order to receive insights and clear pointers about the direction your life needs to follow right now? The Red Tent Soul Sister Sanctuary helps to restore balance in your life and nurture your personal spiritual growth, as well as providing you with a deep sense of nourishment to fuel your soul and fill your heart. If you are in Melbourne this coming weekend this is your opportunity to experience for yourself. With the Winter Solstice just behind us, we journey this month under the Cancer Dark Moon. The energy of both the Winter Solstice and Cancer is very feminine and enables us to connect strongly and deeply with our innermost feminine intuition. This is our time to seek supportive nurturing, not only of those we cherish and hold, but of ourselves as well. As we prepare to emerge from the darkness of winter, it is an excellent time to connect with our highest knowing and focus on what we need in our life to nurture and support ourself, so we then may nurture and support those in our life. Women instinctively know that gathering with other like minded women offers enormous psychological and energetic benefits. The Red Tent Soul Sisters Sanctuary is an opportunity to take time-out from your busy life to reconnect with your inner self, to let your inner child out to play, to share and to be supported in a sisterhood of exchanged knowledge, insights, gifts, wisdom, guided meditation, laughter & art, all within a safe and sacred space, while consciously journeying with the cycles of the moon and universe. Traditionally the Red Tent was a place where women would gather to tune in to their feminine wisdom and receive insights for themselves, their families and for the greater good of their community. It would take place during the dark moon when the Moon is shadowed from the Sun by the Earth, and when feminine intuition is at its most heightened. The Cancer moon is ruled by the element of water and is represented by the archetype of the Crab, who shows her hard exterior to the world in order to hide and protect her vulnerability within. This new moon takes us through a concentrated cascade of emotions where trusting and respecting our feelings brings awareness of personal needs. 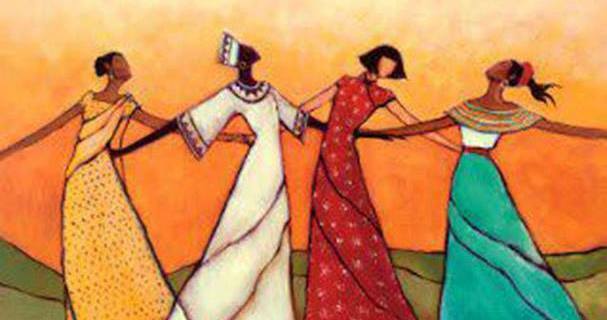 So come and journey with us, join with a variety of beautiful women of all ages, cultures, and walks of life. This is a time and place where every woman is honoured for her own feminine wisdom and experiences, all of which allow us all the opportunity to learn and grow from each other. Each RedTent gathering includes a sharing circle, insights for the coming month, guided meditation, setting intentions and a shared supper (or lunch). You leave feeling deeply soul-nourished and filled with purpose. Booking online is recommended to secure your cushion.